Foreign Secretary Salman Bashir's candid admission at his rather tormentful press conference on May 5, stressing that his primary aim was to urge the Pakistani people not to feel depressed, underlines the irony of a professional career diplomat having to contain the damage after habitually kowtowing to crucial national security decisions made by the military establishment. 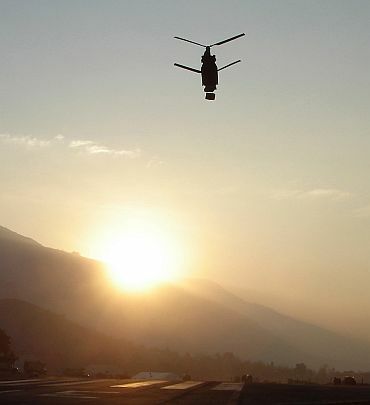 Even as details of the effortless operation by a foreign country's special commandos to take out a longstanding High Value Target seep in, including evasion of air defence radars by low flying helicopters (which came in from Bagram), execution within 40 minutes of a well rehearsed, systematic ground clearance operation at the premises, destruction of a defective helicopter and a smooth getaway with the HVT's body, unconvincing claims are now being made of scrambling of PAF aircraft (2 F-16s as per the Foreign Secretary) and deployment of other security forces from nearby institutional locations. It becomes difficult to absolve the top Pakistani Army leadership as well as ISI handlers dealing with Al Qaeda in Pakistan from blame, for either having been too complacent about keeping the Osama bin Laden family safe house perpetually away from the CIA's prying capabilities or for not having appropriately placed human intelligence assets who could keep them updated about Osama bin Laden's day to day movements. 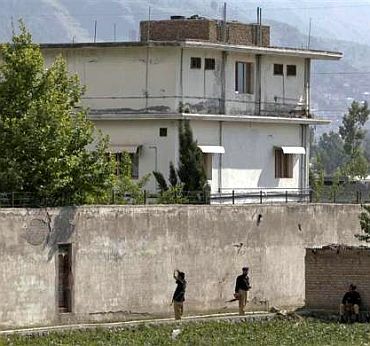 In fact, plausible reports are now surfacing that Osama bin Laden's family had been accommodated since 2005 in this safe house in Abbottabad, which was earlier used by Hizbul Mujahideen or Lashkar-e-Tayiba operatives. 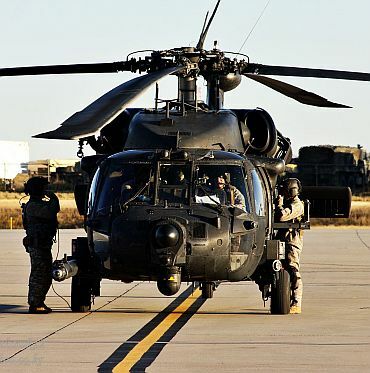 In recent times, Osama had become less mobile and may have more or less holed up there, possibly on account also of ill health and the need for easy medical access. This may have facilitated by his Pakistani handlers. That he was using live couriers as the only mode of communication had been well documented and it was assiduous pursuit of this lead that enabled the Americans to finally hone in on the HVT. Public protest in Pakistan has been rather muted so far, though the sullen resentment of especially the islam pasand sections of disfranchised or poorer common masses is evident. 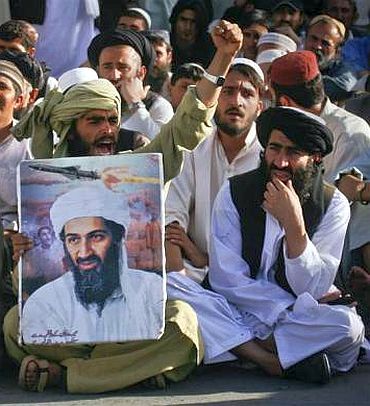 Backlash attacks from the Tehrik-e-Taliban Pakistan could be on the cards. However, the dominant sentiment appeared to be one of helplessness and depressive acceptance of their own government's, and even Army's incompetence in this whole affair, a feeling which Salman Bashir perceived and tried hard to dispel. 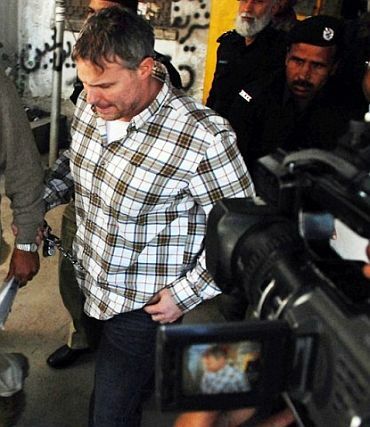 The Osama killing has revived focus on the troubled relationship between Pakistan and the United States. US courtship of Pakistan as a moderate Islamic power with a professional army was deliberate, not inadvertent, even before 9/11. This has continued despite awareness of the intense and rising anti-Americanism prevalent in Pakistani civil society as also the duplicity of the Pakistani establishment in seeking more and more aid for its military modernisation while continuing to provide safe haven to the Quetta Shura and turning a blind eye to the Haqqani Shura's attacks against ISAF in Afghanistan and the burning of NATO supply convoys moving through Khyber Pakhtoonkhwa at will. So far, including as recently as in the Raymond Davis affair, the Pakistan Army had been able to utilize this dichotomy to its advantage. Even on May 5, Salman Bashir mentioned the 'legal' requirement of observing defined 'red lines' of the intelligence cooperation relationship between the ISI and the CIA. However, whatever disadvantage may have accrued to CIA temporarily due to the Raymond Davis botch up and the premature withdrawing of Islamabad Station Chief, Jonathan Banks would have been reversed with the successful extermination of Osama. The balance is restored in the CIA's favour and there is egg on the ISI's face as it will not be able to easily deny culpability in providing safe haven to Osama for so long, as also to other suspected HVTs on the US terror list. Already, there is concerted pressure by legislators in America questioning whether generous purse strings to Pakistan should be kept open. Pakistani diplomats will have their job cut out to bend over backwards and reassure their US interlocutors that the relationship with the US remains valuable for them and that they remain committed to work together to pursue professed common objectives in the war against terrorism in the region and to hopefully work together to weld an agreeable formulation for the end game in Afghanistan, howsoever tortuous this exercise proves to be.